SmackDown is in Vancouver, BC and the NXT crew in Gainesville, FL. We're looking for reports from both shows to newstips@wrestlingobserver.com. Sunday has the SmackDown crew in Everett, WA and ROH TV tapings in Lowell, MA (Ultimo Guerrero vs. Matt Taven, War Machine vs. Chris Sabin & Alex Shelley, Bully Ray & Briscoes vs. Young Bucks & Hangman Page, Deonna Purrazzo vs. Kelly Klein vs. Karen Q, Mandy Leon vs. Jenny Rose). Raw will be Monday night from the Staples Center in Los Angeles. Brock Lesnar & Paul Heyman return for the show and there will be a confrontation between Goldust and R-Truth. There is also a SmackDown brand house show in Bakersfield, CA on Monday night. SmackDown and 205 Live take place on Tuesday in San Diego. The SmackDown show will feature the Usos vs. Mojo Rawley & Zack Ryder in a non-title match, Naomi vs. Lana for the women's title, Sami Zayn vs Baron Corbin and a women's Money in the Bank ladder rematch. 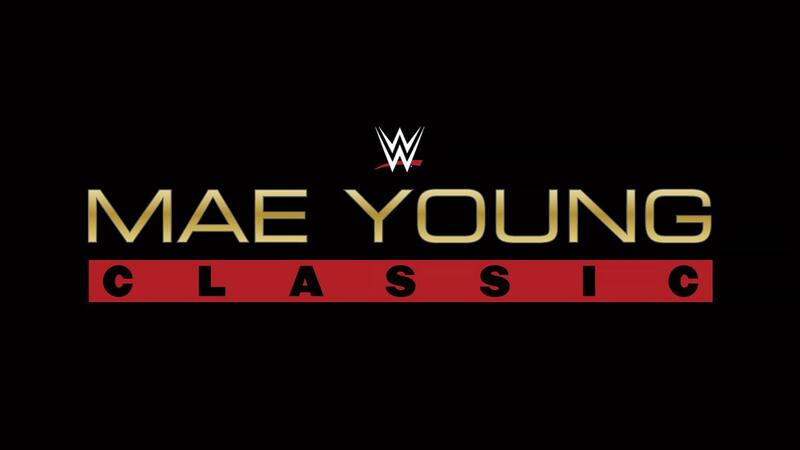 Last week brought the announcement of the first four wrestlers who will be participating in WWE's Mae Young Classic this summer. Toni Storm, Princesa Sugehit, Lacey Evans, and Sarah Logan will help make up a diverse 32-competitor field from all around the world. It was this time last year that similar announcements were being made for an almost identical project. And while WWE hopes that the Mae Young Classic will further the cause of women's wrestling, last year's cruiserweight tournament still leaves behind an undefined legacy. A look at what is next on the horizon for WWE and coverage of Money in the Bank is the lead of the new issue of the Wrestling Observer. Look at what the plans were for SummerSlam and the Universal title headed through WrestleMania. Coverage of Money in the Bank, with notes on the finishes, business notes, match-by-match coverage, poll results and star ratings, inside. Have a look at the 2017 G-1 Climax tournament, who got in and who was on the bubble who didn't make the list, and what to look for when the blocks are announced. An update on the accident involving Matt Hughes, an update on his health and a look back at his career, is inside. A feature on Buddy Wayne, one of the best wrestlers in the Northwest during a period of time, why he was never a major star, and a number of people in wrestling comment about him and his career, all in this issue. Find out about Conor McGregor mentions on Raw, Daniel Bryan looks at changes he'd like to see WWE make and his thoughts on Matt Riddle and Kenny Omega, a look back at what happened behind the scenes regarding the Money in the Bank ladder matches, how Daniel Bryan got his title, why Dolph Ziggler lost his title right away and who was supposed to win that didn't. Also, look at Shawn Michaels talking about current talent, former developmental wrestler critiques the TV, update on Kairi Hojo in WWE, the birth of Ric Flair, and a list of those at this week's WWE tryouts. Check out the value of WWE stock, plans for upcoming TV's and the most-watched WWE network shows over the past week, and also look at all the WWE & NXT arena events over the past week with results and business notes. It took a lot of guts in this day and age to attempt a 60:00 match. Nowadays, it's considered gutsy to put on a 10:00 match on television and you never see anything but PPV main events last more than 20:00. The participants, Rock and HHH, went 36:28 at Wrestlemania. Several times during the broadcast of this show it was noted that both of their longest matches was a 30:04 PPV draw in 1998 which was a ***1/4 match. Two more participants were confirmed for the Mae Young Classic at last night's NXT television tapings. Bianca BelAir (formerly known as Bianca Blair) defeated Aliyah and Vanessa Borne (formerly Danielle Kamela) beat Jayme Hachey in qualifiers for the women's tournament. Both BelAir and Borne signed with WWE last year and have been part of the non-TV NXT roster. 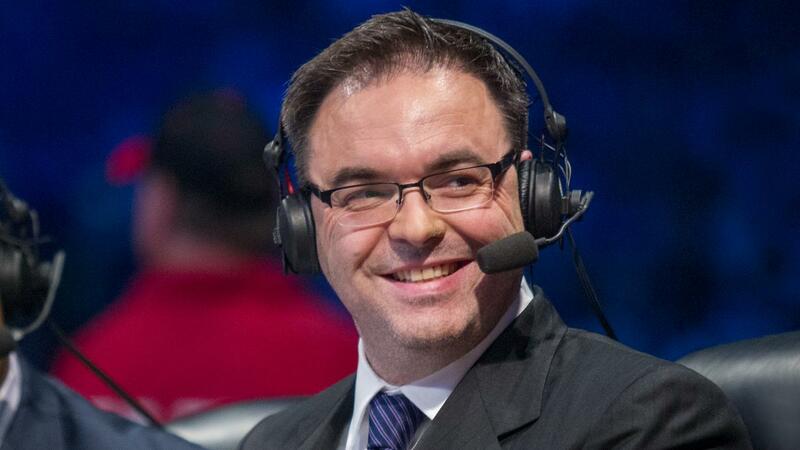 Triple H introduced Mauro Ranallo to the crowd at the tapings last night as Ranallo debuted as the new play-by-play voice of NXT. Tom Phillips tweeted about leaving the NXT broadcast booth and only doing SmackDown from now on: "It has been one of the great joys of my career to be a part of NXT since 2012. I am eternally grateful for the opportunity!" Mike Kanellis appeared on this week's episode of the Edge & Christian podcast. He revealed that Kevin Owens urged him and Maria not to re-sign with Impact Wrestling when they were close to doing so. Kassius Ohno posted a photo with Kairi Hojo on Instagram. Hojo recently reported to Orlando after signing with WWE. WWE announced a tour of Australia and New Zealand for this September. Apollo Crews and his girlfriend welcomed the birth of their first child. This week's WWE top 10 list looks at angles where wrestlers have been ambushed while making their entrances. Ratings for Impact were up again this week. The episode averaged 342,000 viewers on Pop TV, which is an increase from last week's 327,000. PROGRESS Wrestling will be putting on a show in the Boston, Massachusetts area on August 13th. It will be a double header with Beyond Wrestling, and other details are to be revealed soon. PROGRESS also has a show in New York on August 12th with EVOLVE. Hiroshi Tanahashi tweeted that the IWGP Intercontinental Championship is being repaired. The belt's condition had been getting progressively worse, with Tetsuya Naito destroying it when he was champion. Chris Charlton translated comments that Tanahashi made on his podcast about the biceps injury that he suffered last month. Tanahashi said that the injury happened when he couldn't make a catch properly after being caught off guard by a dive from Will Ospreay on one of the War of the Worlds shows in the US. He noted that surgery would be the best option but he can't take time off. To build to their upcoming match in Long Beach, Kazuchika Okada posted "Wow" in response to Cody Rhodes winning the ROH World Championship at Best in the World. AXS TV uploaded the commercial for their episode of NJPW next week. The Okada vs. Omega and Naito vs. Tanahashi matches from Dominion will be shown. NJPW posted a tour of Long Beach with Rocky Romero to promote the upcoming shows in the US. Their English-language website also has a list of rules for fans going to the shows, including that streamers won't be allowed. Rolling Stone interviewed Chavo Guerrero Jr. about his role as the fight coordinator on Netflix's GLOW series. Police in East Haven, Connecticut arrested the organizer of a charity wrestling show where the promotion wasn't paid for their expenses and the autism awareness charity never received their donation. The organizer was charged with issuing a bad check to Paradise Alley Professional Wrestling LLC. In only his second fight since moving up to middleweight due to weight-cutting issues, Johny Hendricks has missed weight again. He weighed in at 188 pounds for his fight against Tim Boetsch at tomorrow's UFC Fight Night show in Oklahoma City. Jared Gordon also missed weight for his fight against Michel Quinones, coming in at 149 pounds. That was three pounds over the limit. The UFC released the poster for UFC 214: Cormier vs. Jones II. Dave Meltzer has an article for MMA Fighting on tonight's Bellator show. Colbey Northcutt (the sister of UFC fighter Sage Northcutt) was knocked out in the second round at last night's Legacy Fighting Alliance show. She was making her pro MMA debut.